I started Toads Only as a guide service and promotional service for the fishing industry. I dedicated my efforts to teaching individuals and the general public about the great sport of fishing. Teaching and sharing information in and about the industry has always been my passion. Because of the success in promoting and marketing for industry leaders, Toads Only now has become one of the leading marketing companies that caters to the fishing industry. As of January 1, 2015 Toads Only is only a marketing company. If you would like to know more about Toads Only and what we can do to help you grow your business give us a call or Email us. Video – Toads Only can create custom instructional and informational videos to be used on your digital media and website. 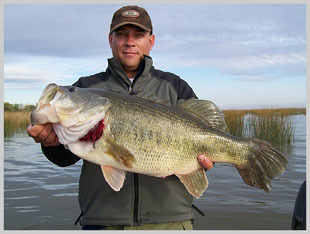 Guest speaker – Toads Only and professional associates can provide seminar speakers for events, clubs, or demo days. On the water Photography – If you need photographs for catalogs, brochures, or digital media we can get it done. Social Media Management – Our team has been assisting companies in the growth of their social media including but not limited to Facebook, Google+, Website Design and YouTube. Copyright © toadsonly.com. All Rights Reserved.